What’s life after going down the rabbit hole? 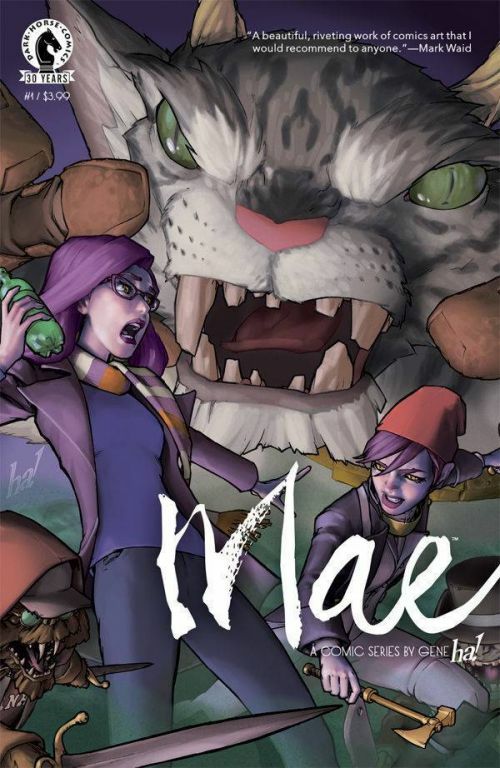 Mae is not a Alice and Wonderland story, but it certainly shares many similarities. Mae’s sister Abbie found a rabbit hole of sorts and has been gone to another world most of her life. Switching the view to Mae, we see what life is like for a family member who doesn’t know why their sibling left, especially never imagining they were off having magical adventures. It skips us to the present day with Abbie returned as she is being hunted by creatures that followed her back. It’s an interesting concept to have Mae be the focus, the more grounded of the pair who we can relate to more. The story is a little slow to get off the ground, but Ha’s art is enough to keep you moving even if there is a lot of setup. As long as the next issue can start to delve further into the “rabbit hole”, it should be a series to keep watching.